The balcony is another place for outdoor living and entertainment. Sunny enjoy the outdoor good weather. Unfortunately, in recent years there have been some reports of accidents involving balcony fences, and the safety and quality of the balconies have attracted much attention. 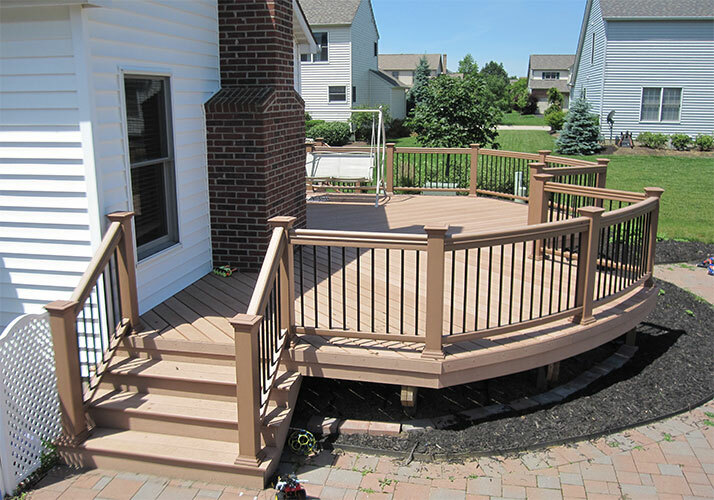 Balcony fences require regular maintenance to keep them in good condition to prevent accidents. wpc balcony fence is a good choice for balcony, because it safe and low maintenance, will not crack and fade over time. WPC material has excellent performance and welcomed by customers, wpc fence is no exception. Excellent performance, reasonable price, simple installation, more and more people to use wpc fence and give up traditional wood materials. Able to withstand prolonged aging and corrosion. Protection of the safety of the balcony. 1. To ensure that the purchase of products, with formal certification, to ensure that 100% authentic. 2. buy wpc is import and export trade, so ensure company have complete licenses and product certificate. Although the wpc material fence is a good alternative to wood materials, the use of energy-saving than traditional materials and environmental protection. But also need occasional maintenance, to ensure that wpc fence to play the maximum performance.